West Coast Classics are proud to present an absolutely exceptional example of this original southern California 1977 Mercedes-Benz 450SLC 2 door hardtop coupe with only 74K original miles and still boasting it's original 'Blue California Plates', this was by far Mercedes most expensive model of the legendary 450 series, at an original MSRP of $32,590 ($136,777 adjusted for inflation according to the CPI for 2017!) 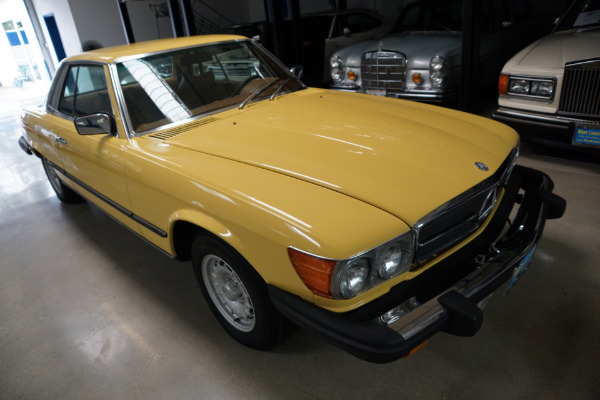 compared to $26,777 for the same year 450SL roadster, and this particular example is in absolutely beautiful condition throughout! 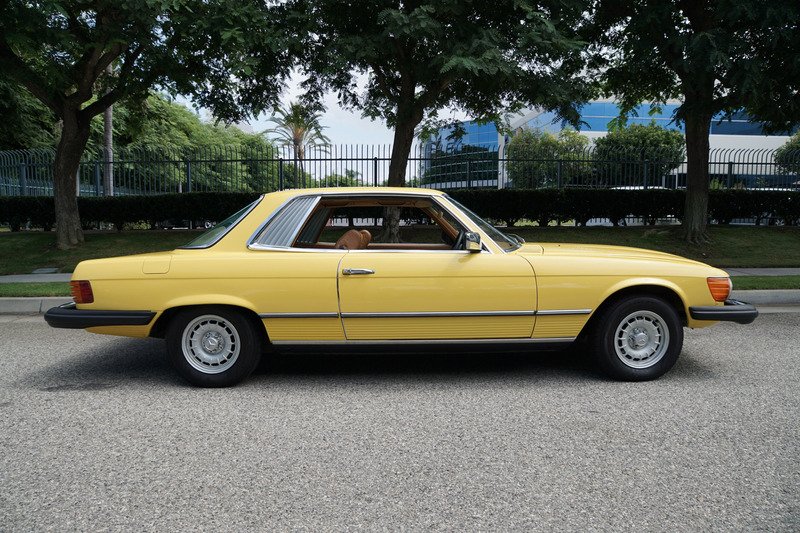 Mercedes Benz released two iconic models in the early seventies, the 450SL two seater roadster and the 450SLC two door coupe and these cars were the ultimate status symbol of their day, symbolic for their era of exclusivity and immediately identifiable by their uniquely original styling. 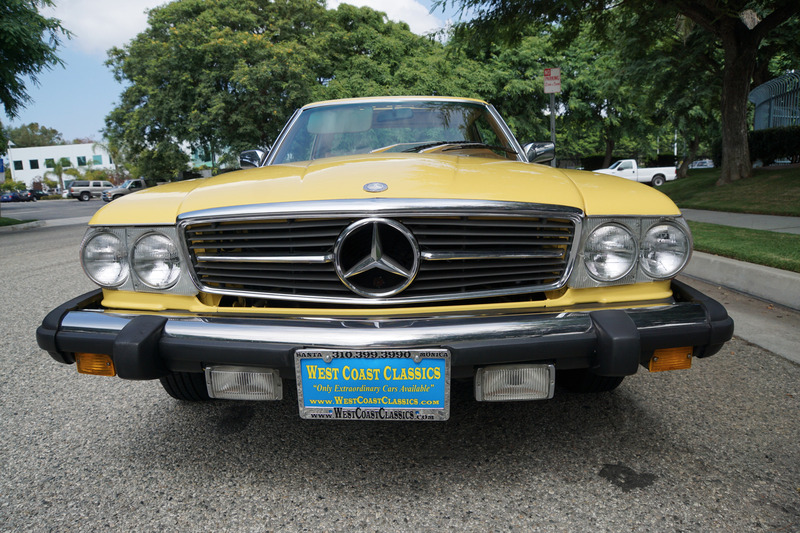 They were to create a cult following which has continued to this day. 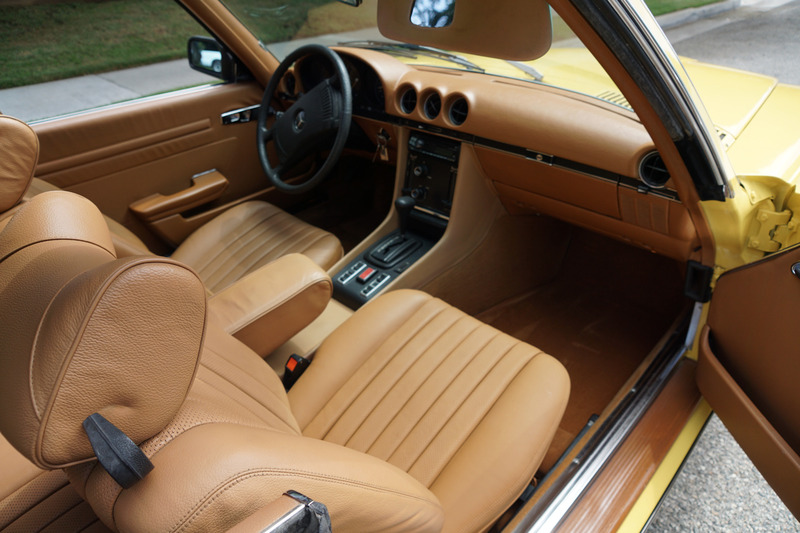 They were sold as the R107 SL roadster and the C107 SLC coupe with the coupe model wheelbase lengthened by 14" to make room for the rear seat passengers in a fixed pillarless superstructure above the 2+2 cabin, whilst still incorporating its sports car dynamics. 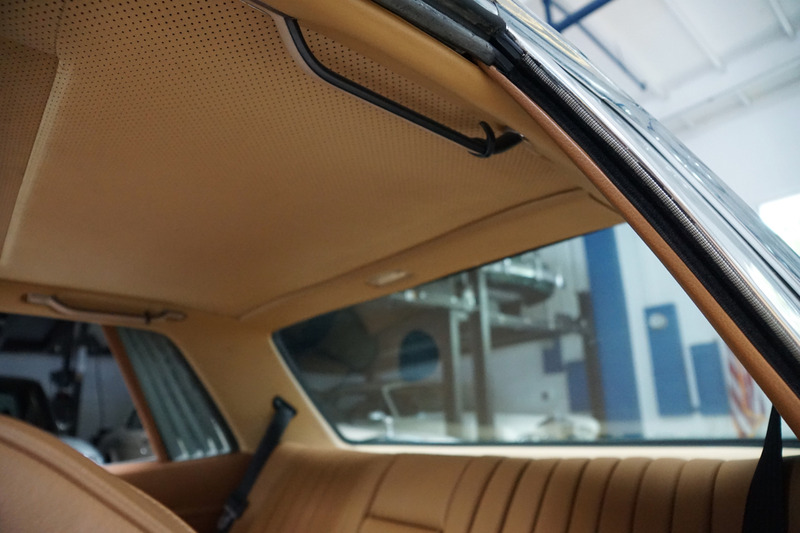 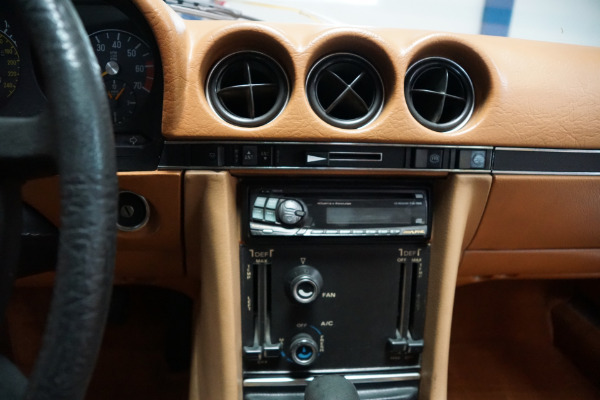 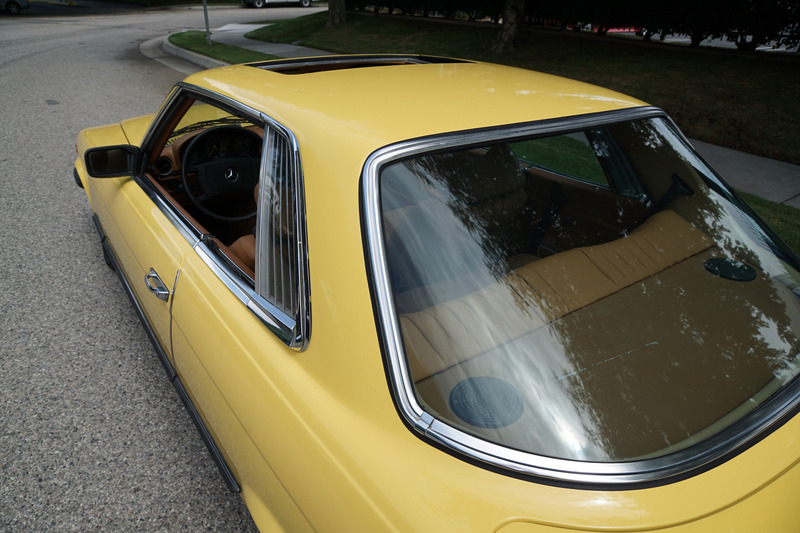 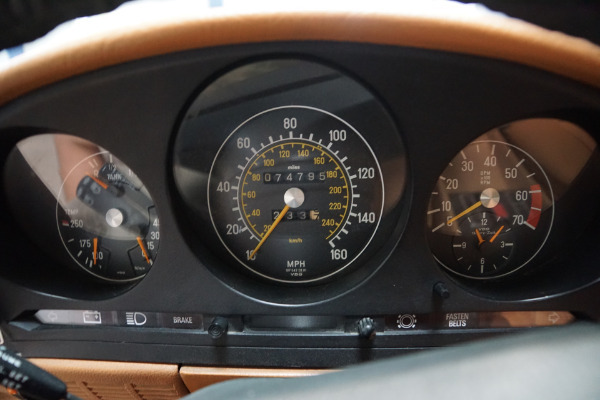 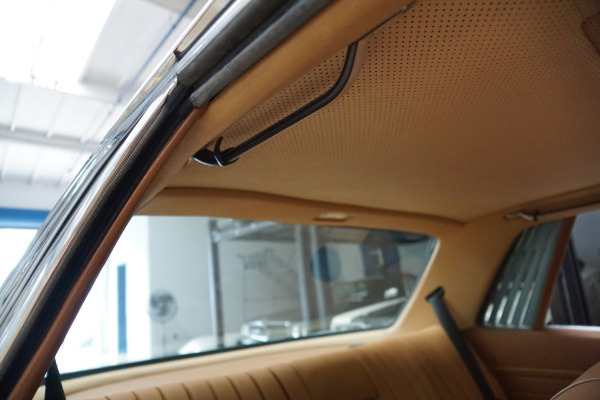 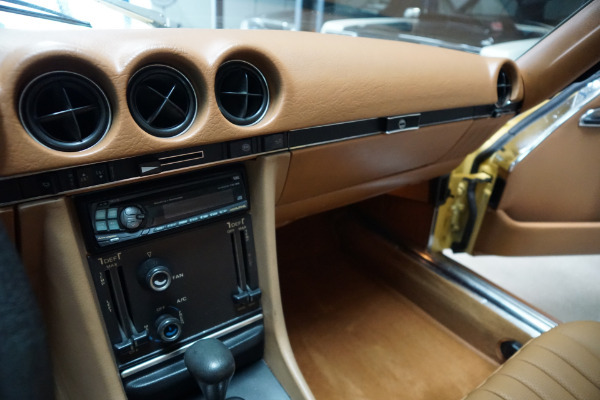 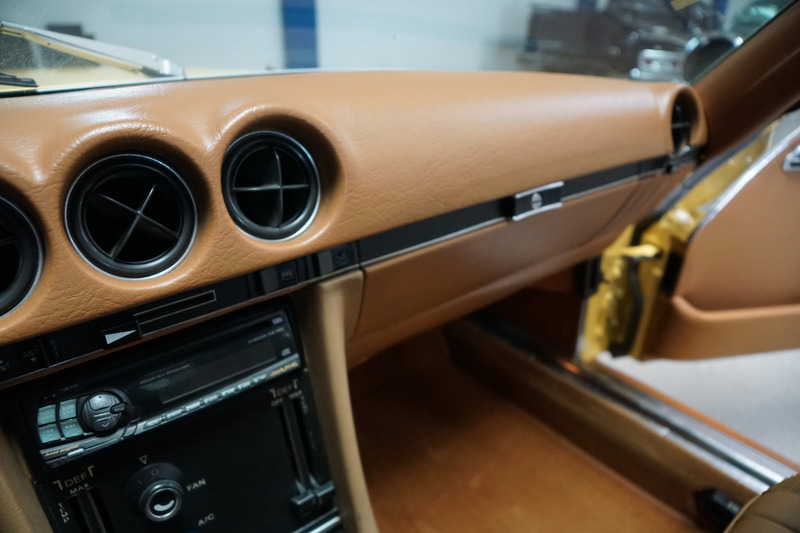 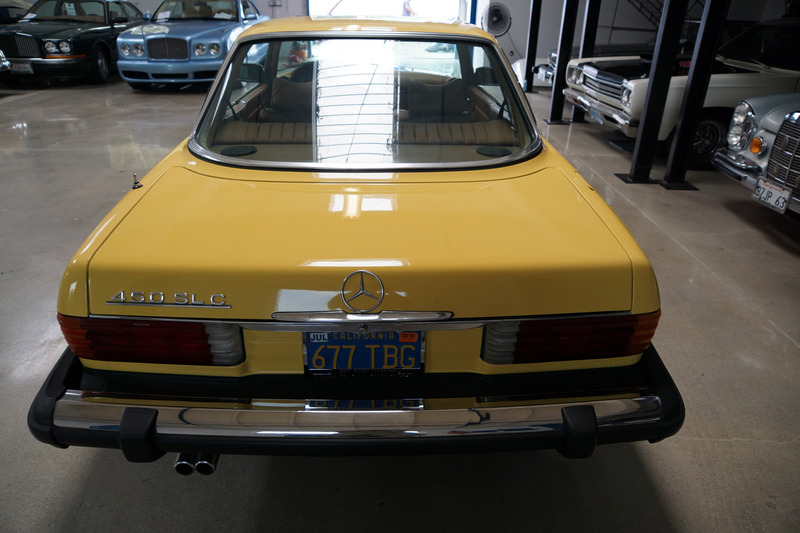 The 450SLC was built in very limited numbers and was one of the most exclusive coupes ever made, offering the sensations of a true sports car but with the refinements of a four seater grand touring coupe! 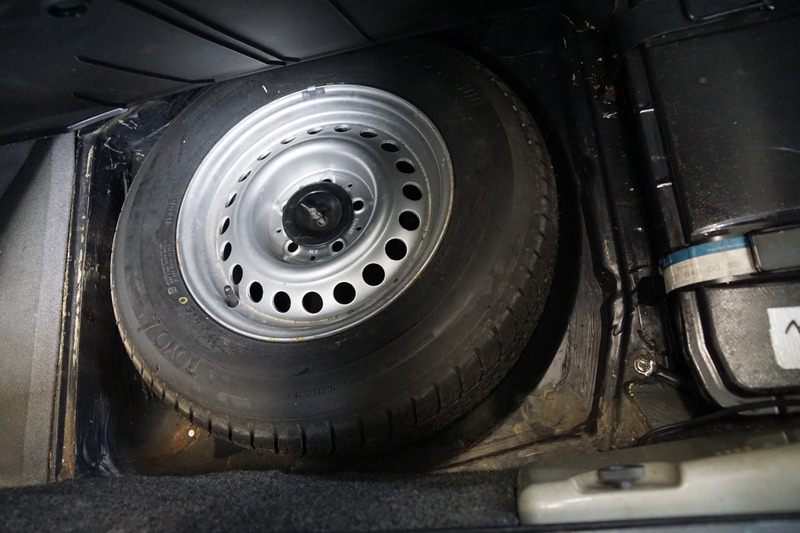 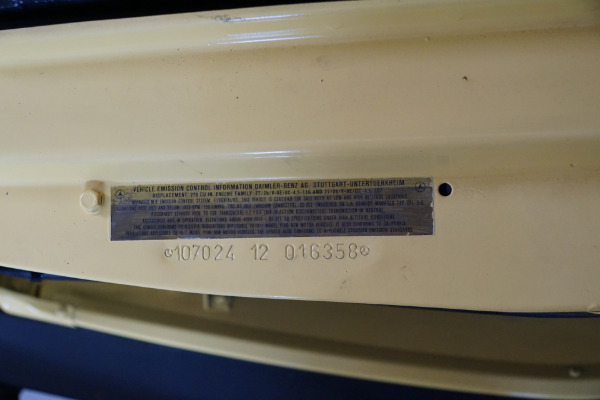 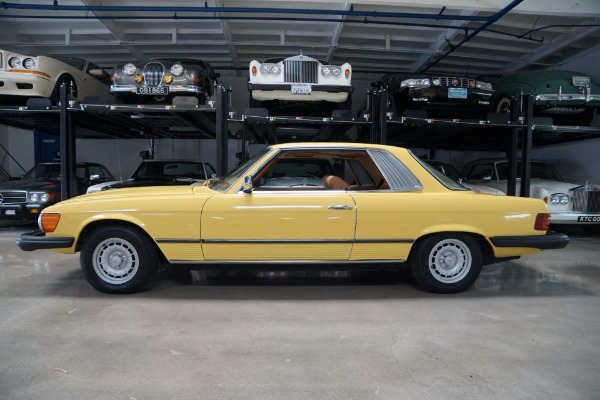 The particular example is to be sold with all its recent service history available and it is quite obvious that this particular example was always garaged with no signs of any accidents or rust and never smoked in! 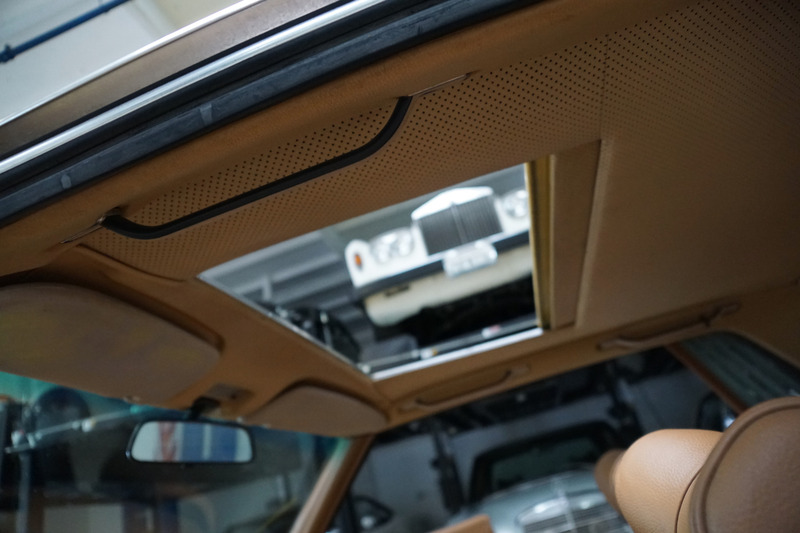 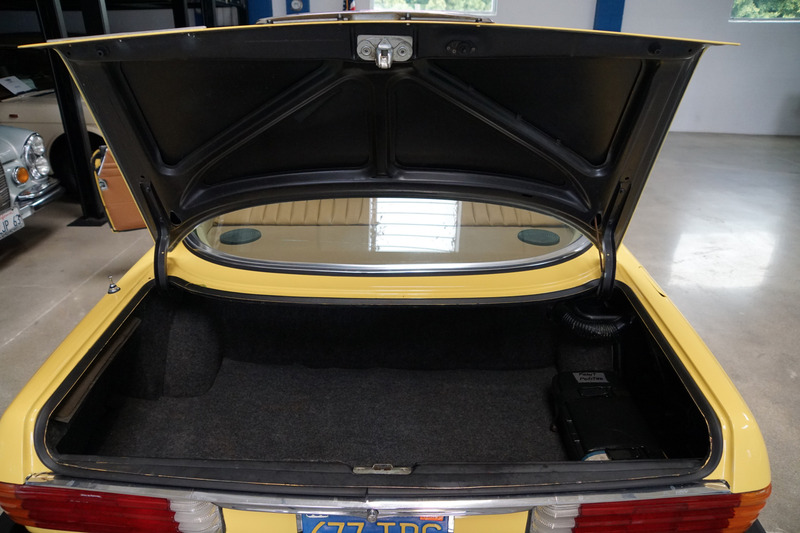 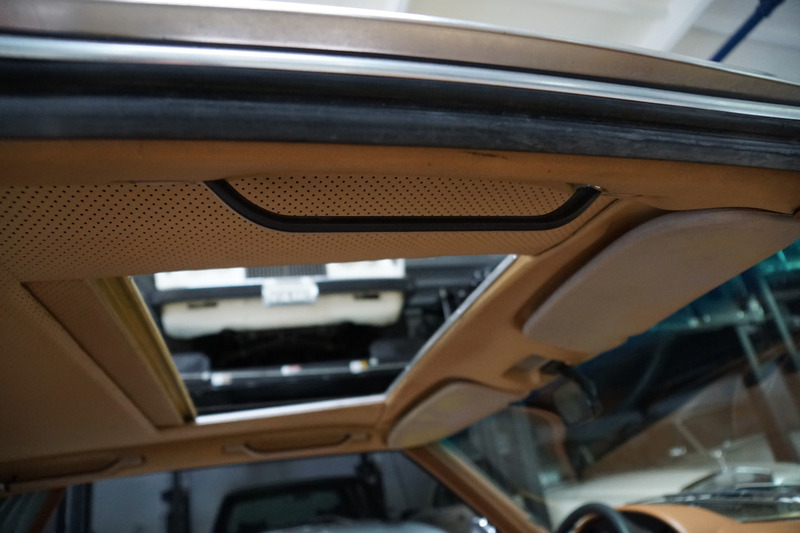 All options are working as they should including the air conditioning, power windows and power sunroof. 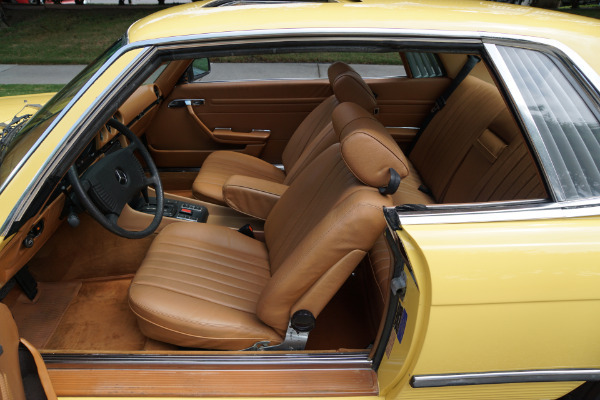 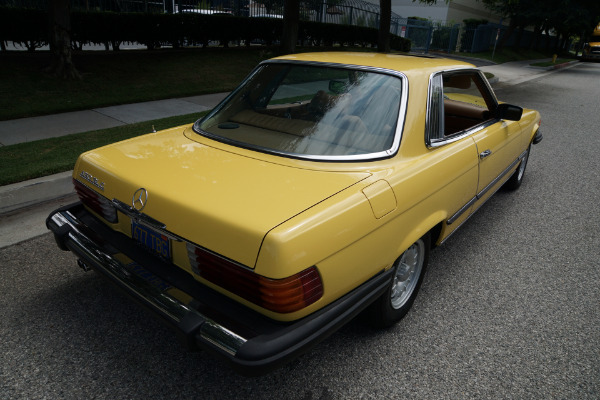 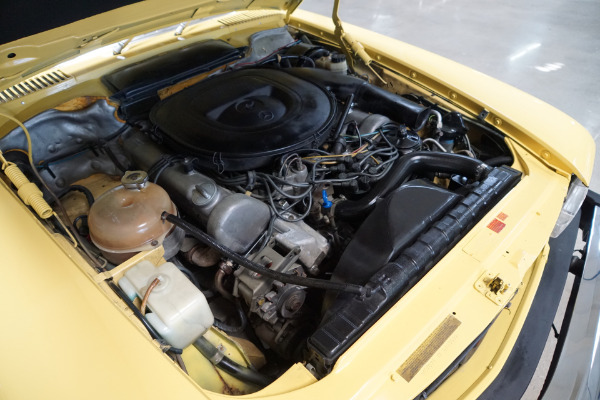 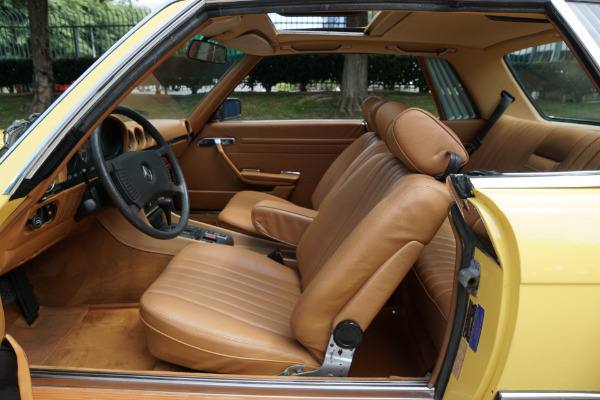 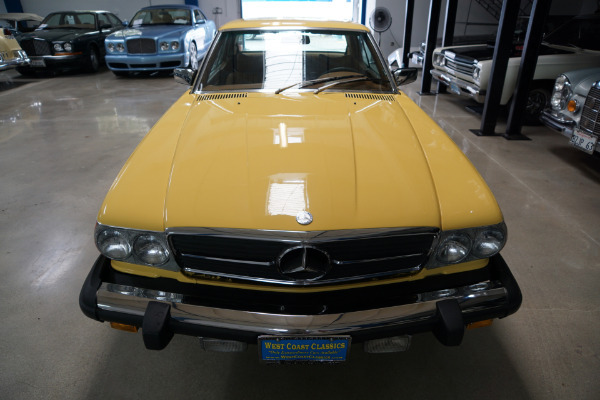 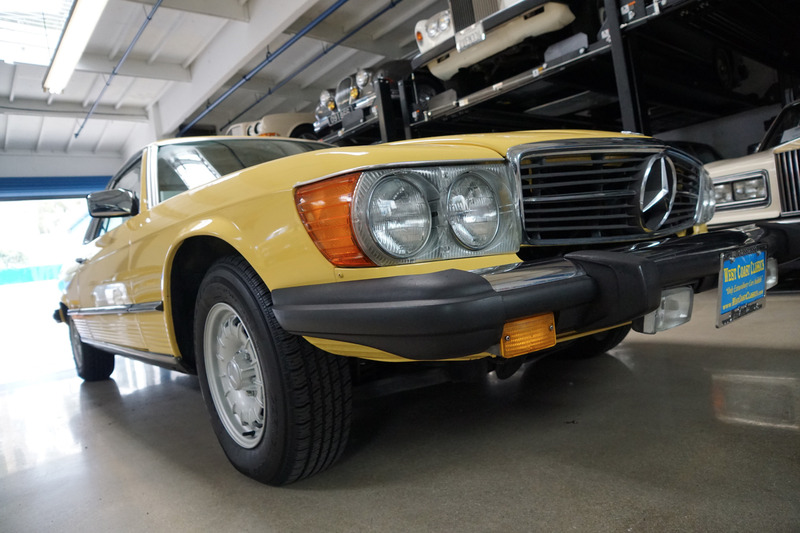 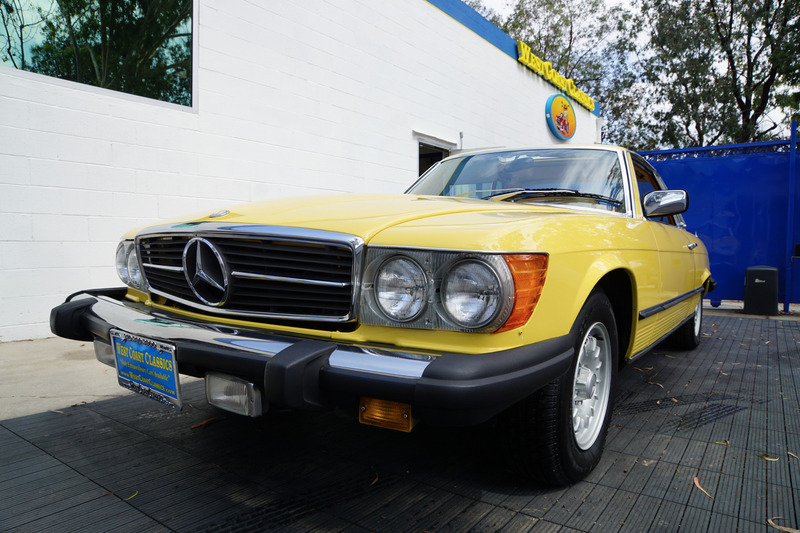 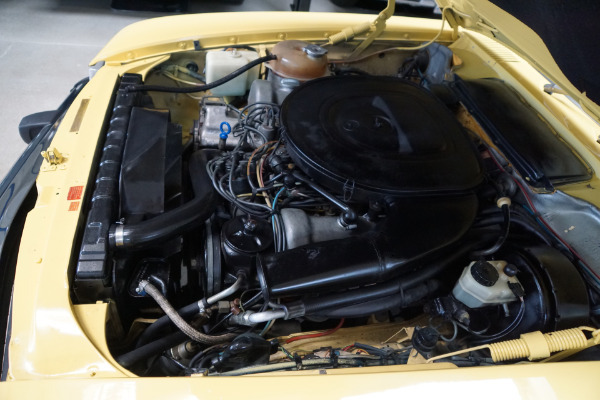 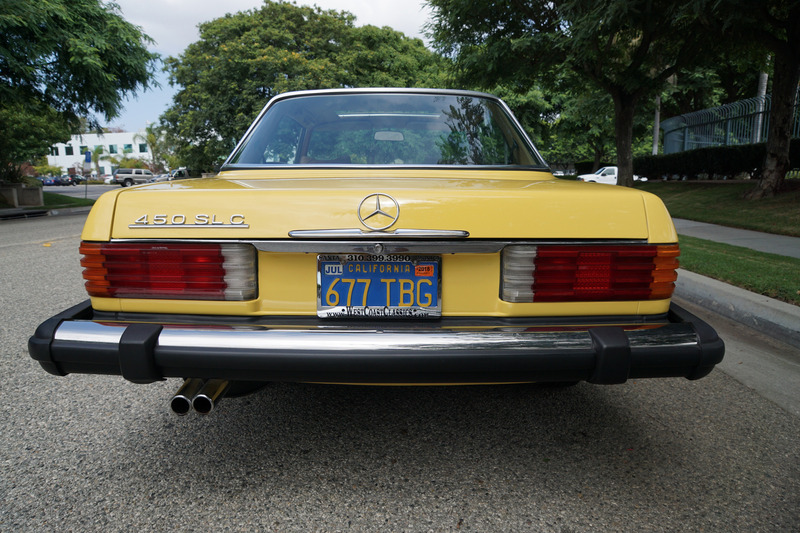 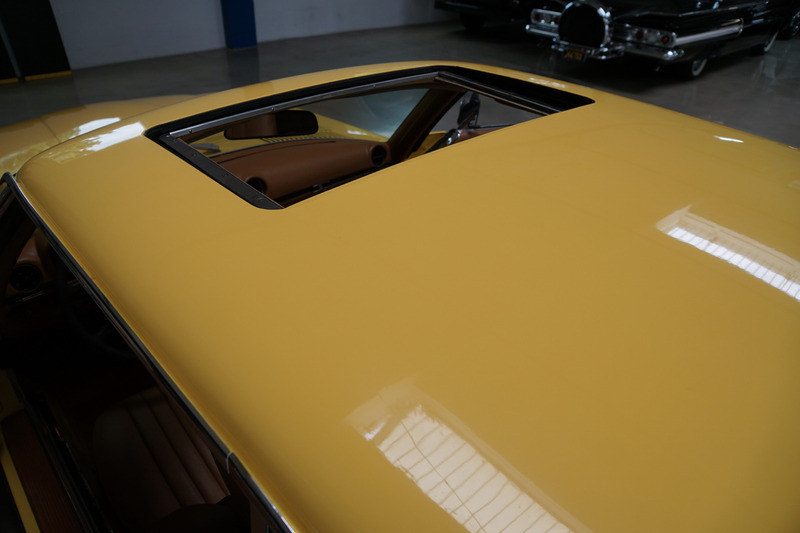 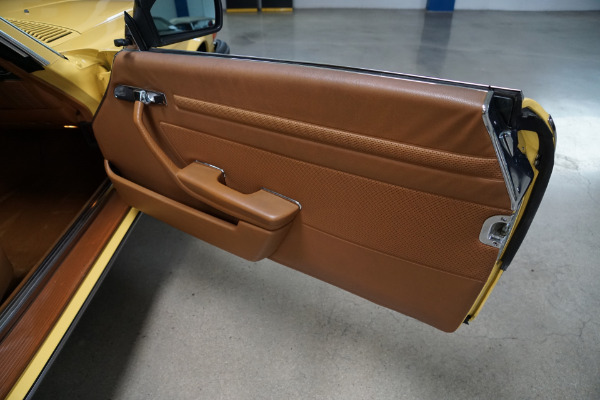 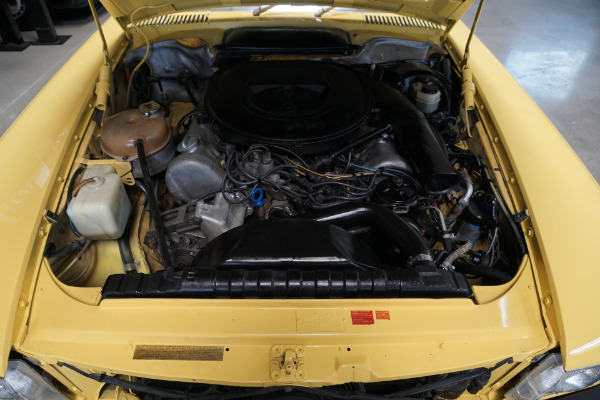 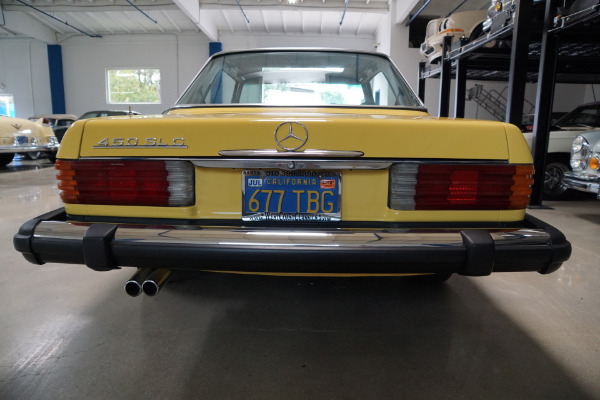 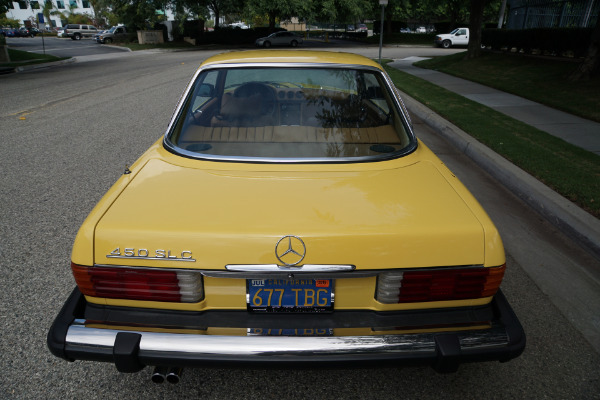 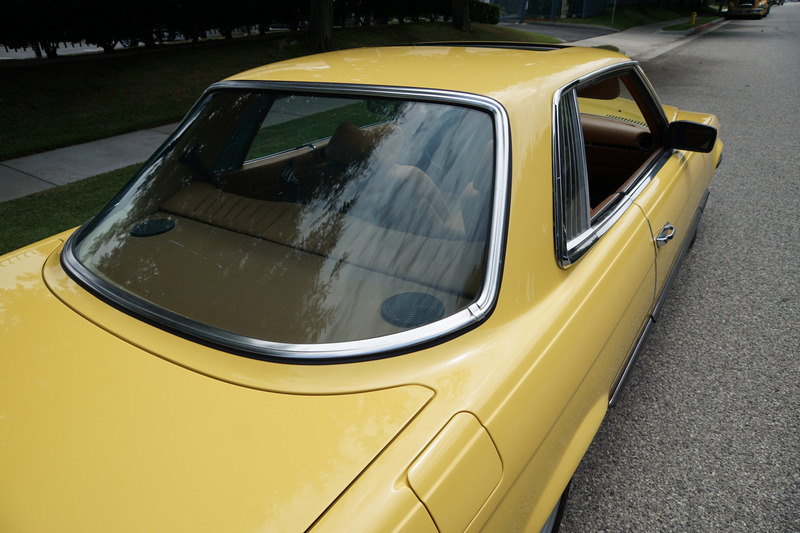 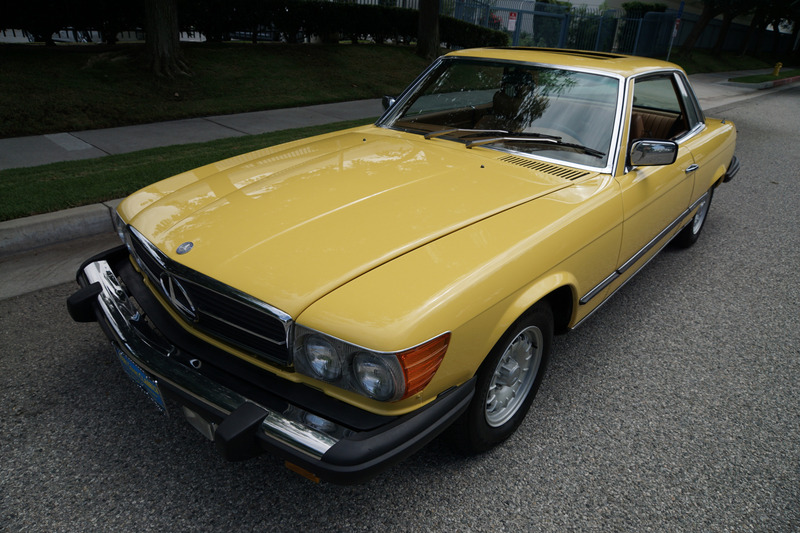 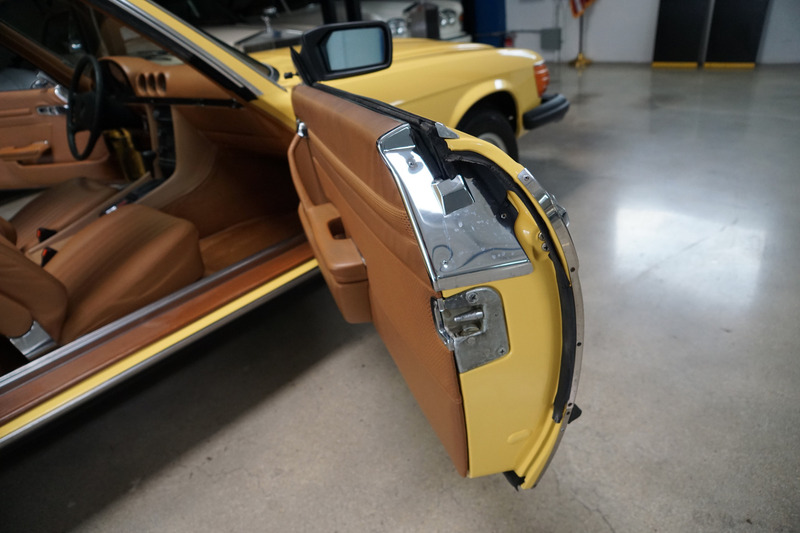 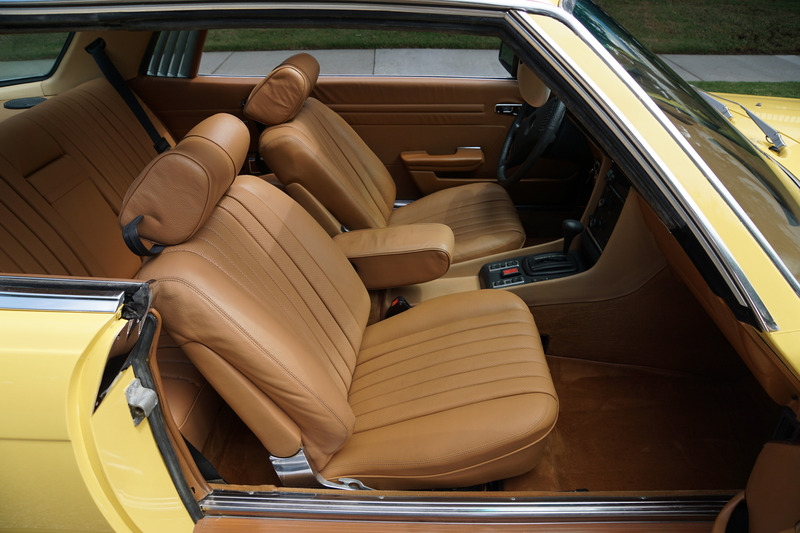 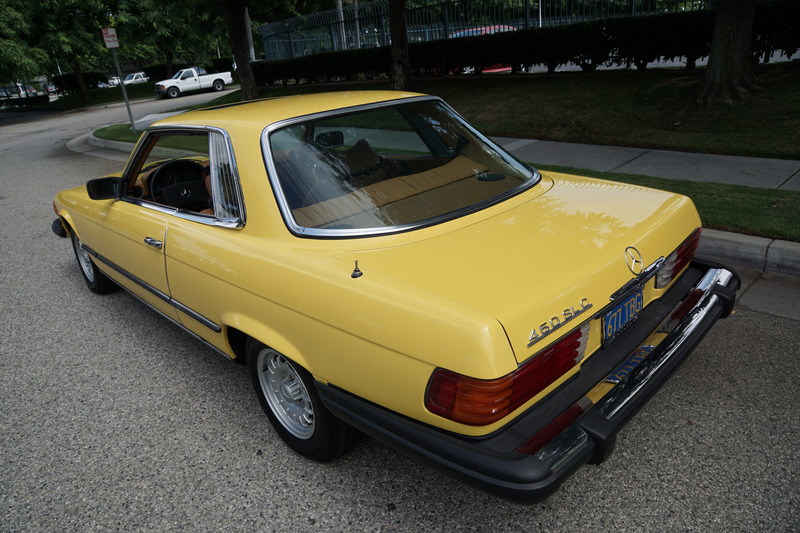 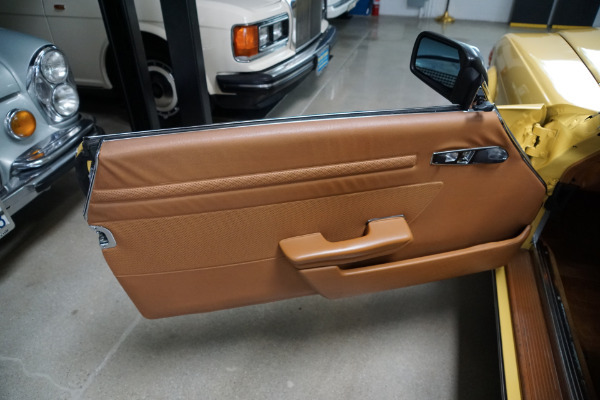 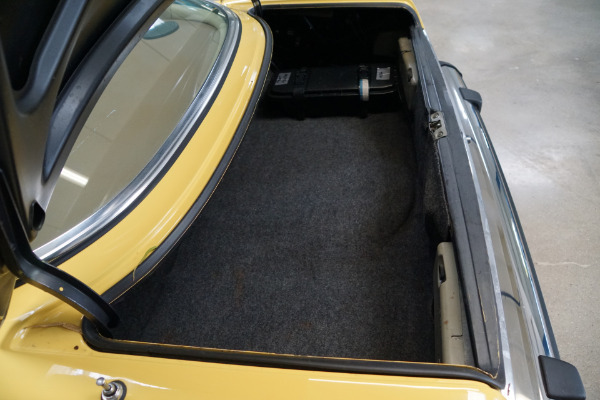 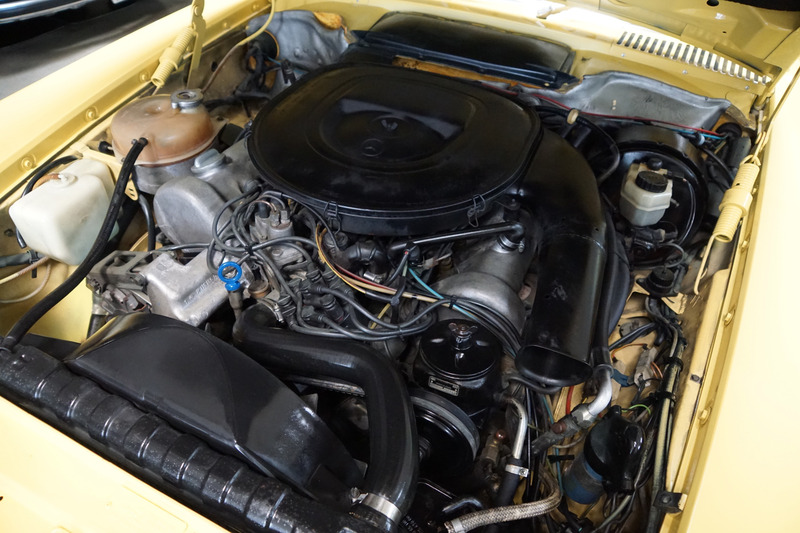 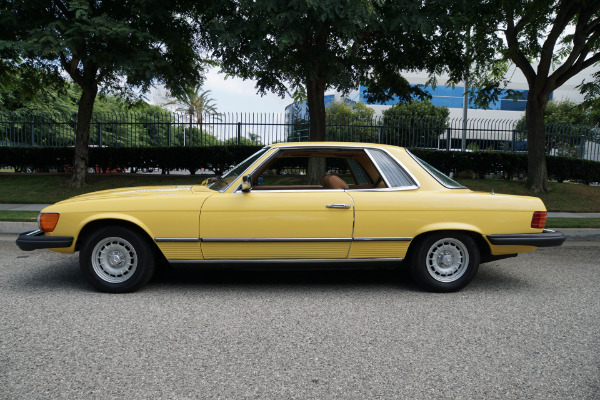 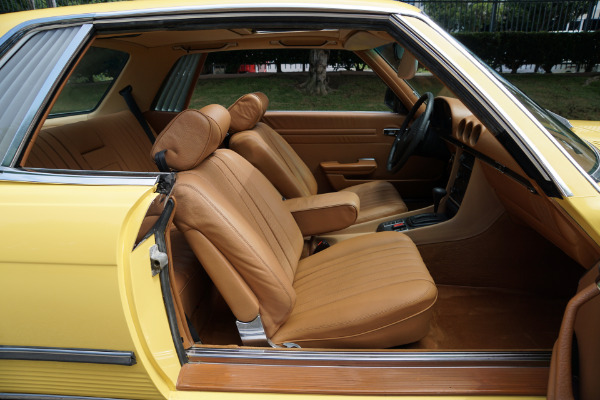 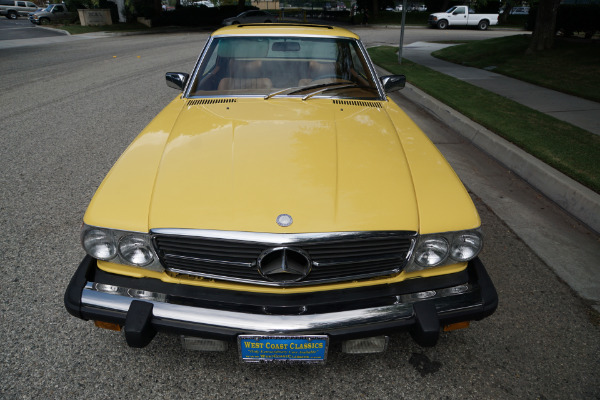 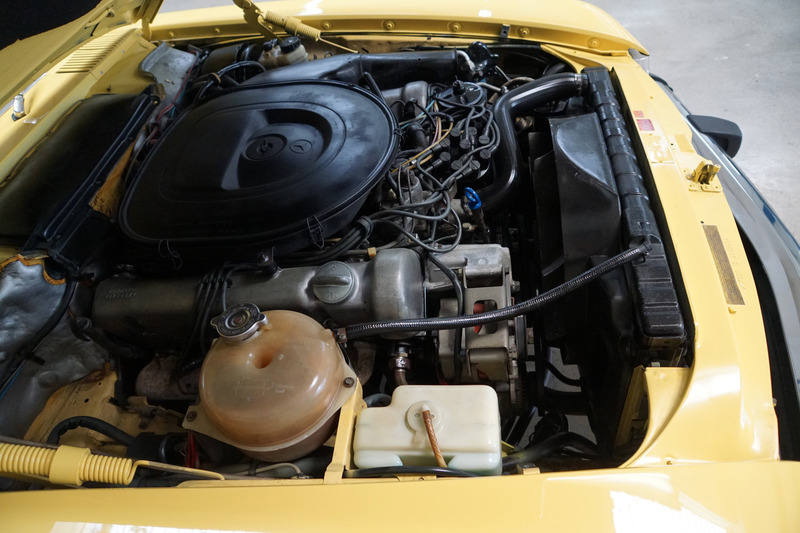 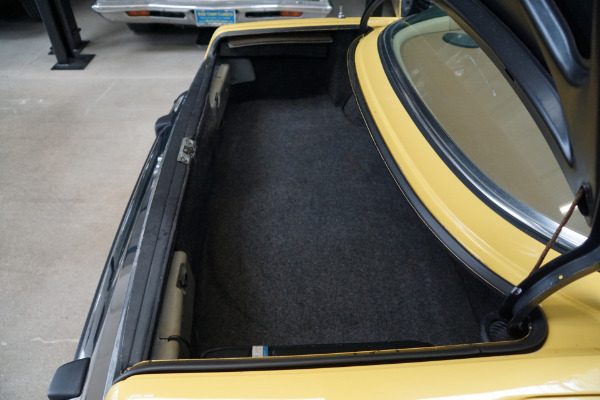 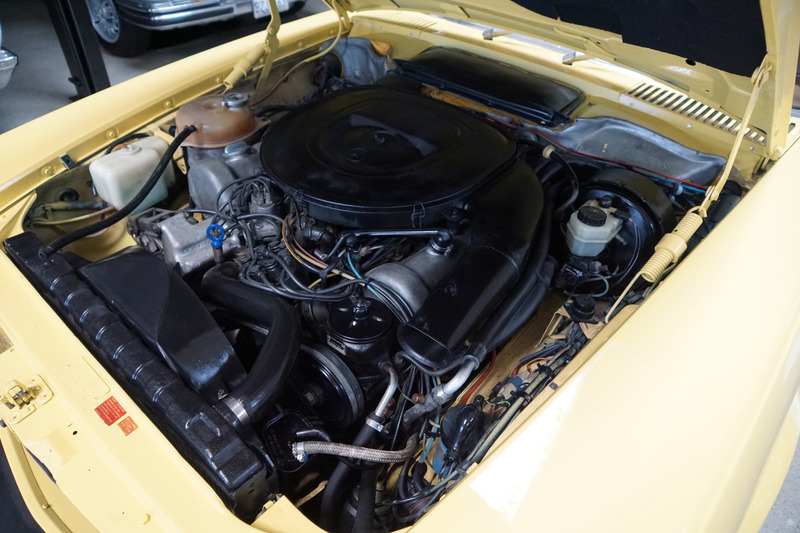 The very striking 'Yellow' color paint is in very fine condition and the 'Palomino' interior is also in gorgeous shape with virtually no signs of wear and the car has its original Mercedes 'Bundt' wheels which are also in exceptional condition. The car's factory options include: automatic transmission, power assisted steering, power brakes, tinted glass, cruise control, electric window lifts, electrically heated rear window on hard top, fully independent suspension, power assisted four wheel disc brakes, limited slip differential, automatic antenna, Halogen head and fog lamps, automatic air conditioning with climate control and central locking. 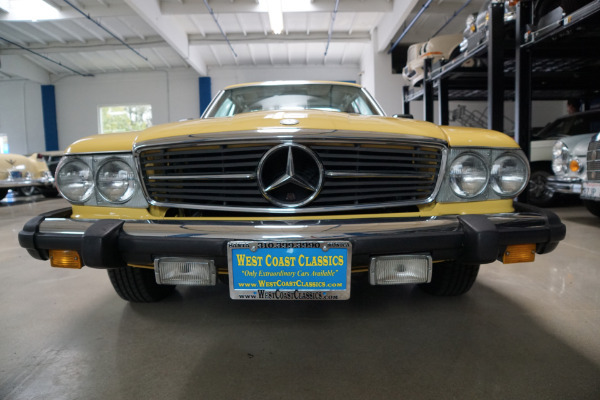 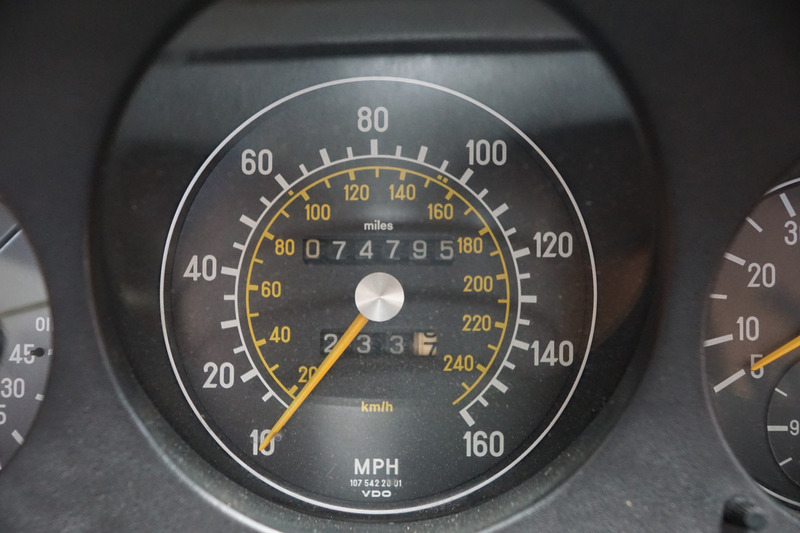 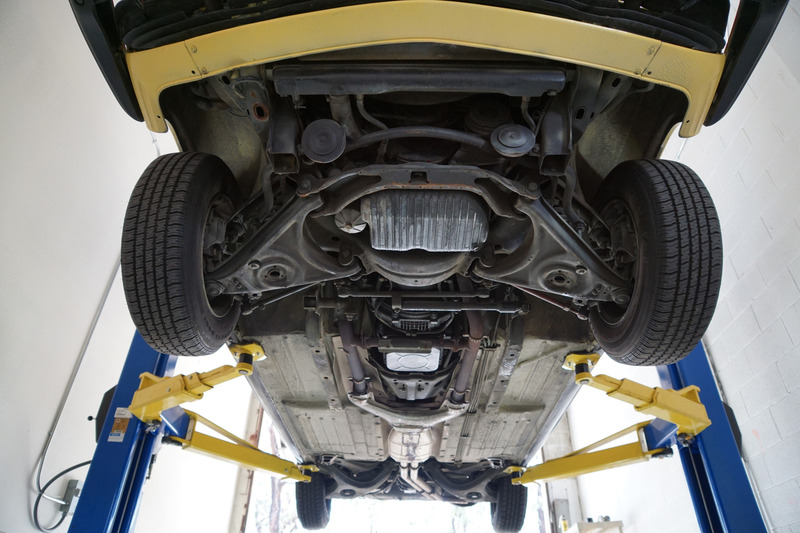 The car drives exactly like such a well maintained and serviced Mercedes should and must be seen and driven to be truly appreciated. 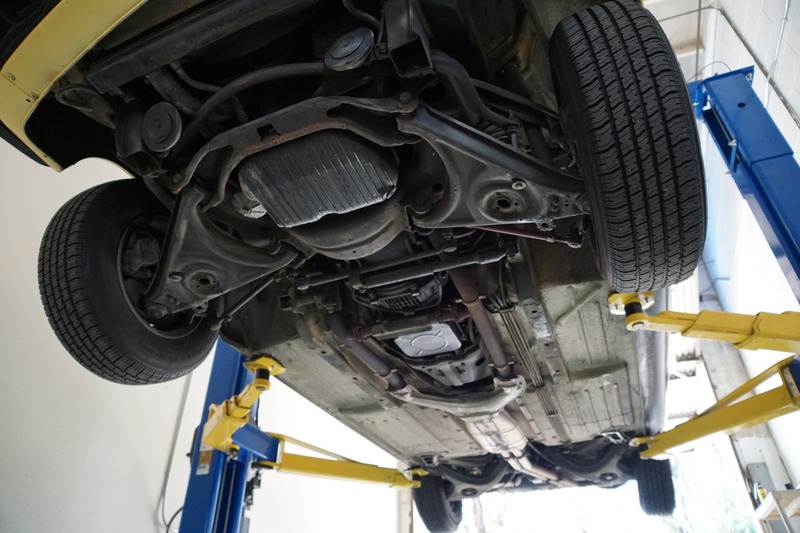 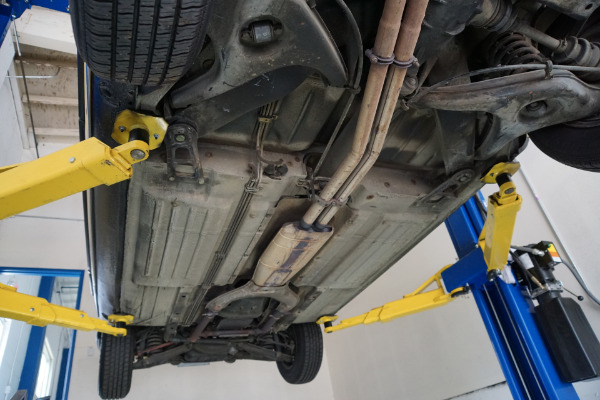 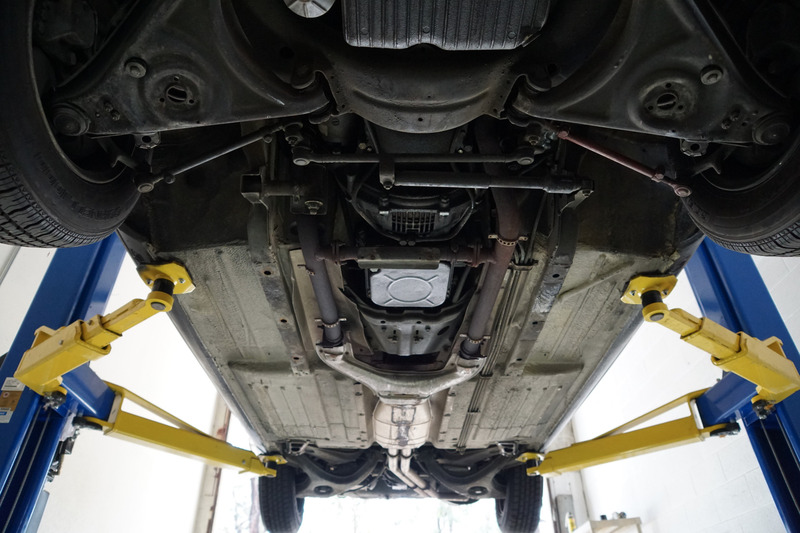 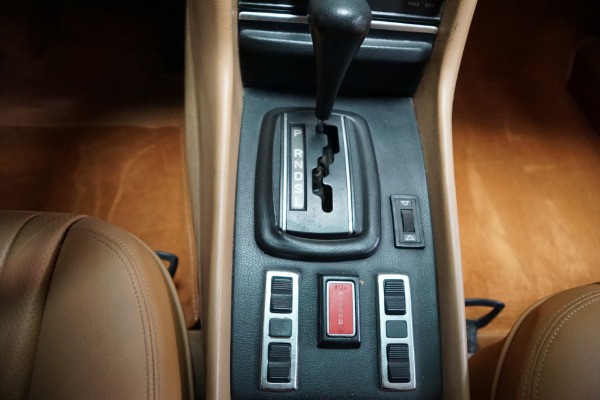 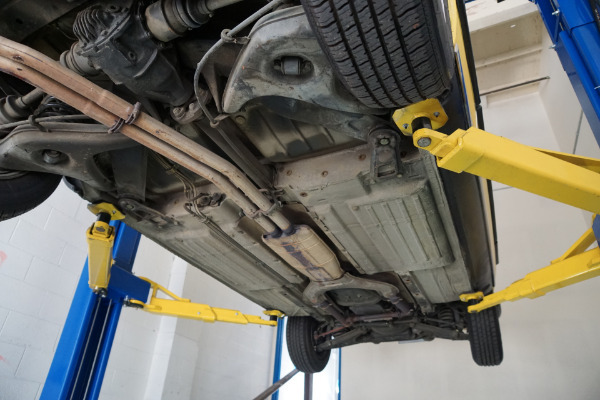 The engine is extremely strong with no noticeable oil leaks, the transmission shifts smoothly through the gears and the temperature always remains cool. 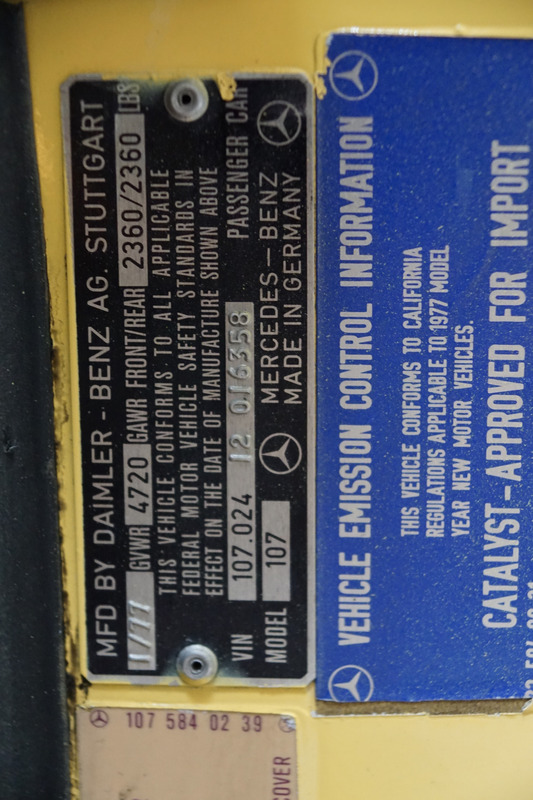 The car has a recent California smog certificate. 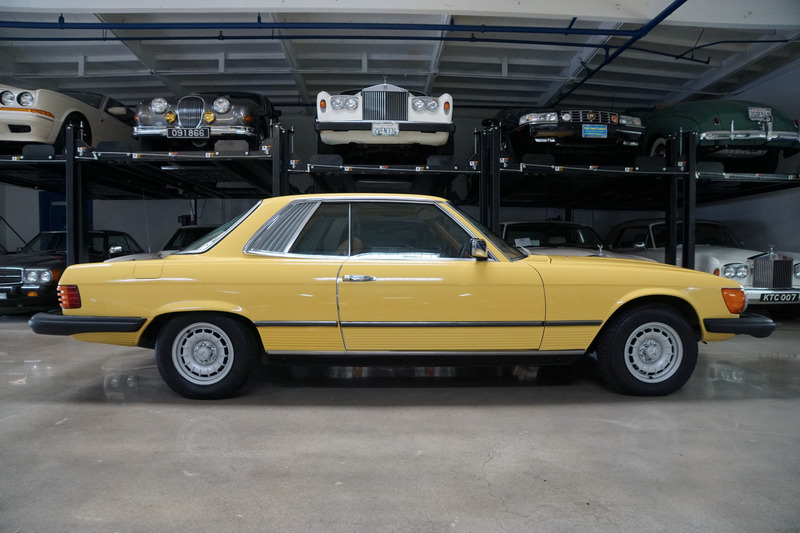 Without doubt, this is one of the finest classically beautiful designs built by Mercedes-Benz, probably the last classically beautiful series they built which are now at long last becoming more desirable and collectible than ever before - certainly you will look long and hard to find a finer head-turning example of this 450SLC model with only 74K miles available anywhere else!